Movers201 is Family Owned & Operated, Founder Mr. Even-Ezra upholds the highest standards in the moving industry, running the company like an elite unit in the armed forces with superior training and utmost respect provided to each member of the Movers 201 team. Amir has well over 20 years’ experience in the industry with duties including those as Mover, Foreman, On-Site Estimator, Relocation Consultant, and Project and Company Manager. He has successfully managed small and large projects including the relocation of Schools, Malls, Hospitals, Industrial Facilities, Entire Residential Buildings, and Thousands of Homes, Apartments, and Offices. His quick solution to any unique situation and personal attention to each detail of your move will allow you to relax with the assurance your belongings are in good hands. 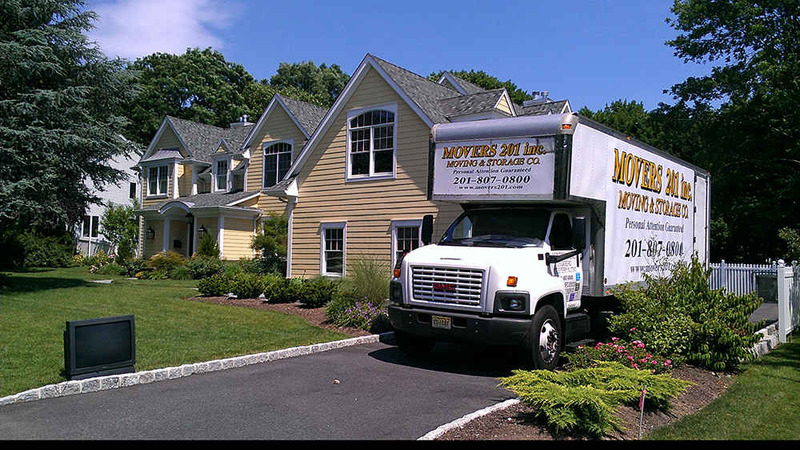 Movers201 has set itself apart from other companies by providing personal attention to every customer starting with an on-site visit by the owner. He will perform a detailed survey of all items to be moved, will provide solutions to any unique circumstances, and will answer any questions you may have. Unlike many other companies who provide an unrealistic estimate, Movers201 will leave you with an Honest Price for all services with No Hidden Fees. Contact Us Now and you’ll be moved with 100% Satisfaction …Guaranteed! As a long-time resident of Bergen county and as the place I’ve chosen to raise my family, I’ve decided to concentrate my business here and focus on serving my neighbors and the surrounding 201 area code population. By focusing on this specific area, I am able to provide more personal attention to every customer and to the details of each and every move. I can personally visit moves in progress each day and will show up asap in the event of any problem or customer concern. As the owner of this company, I also pledge to provide personal attention and respect to each Movers201 employee. I believe a happy workforce = a happy customer. Each member of our team will in turn provide personal attention and utmost respect to all customers, their belongings, and surrounding neighbors, as well as to company vehicles and equipment, and to each other. The Movers201 team will leave you feeling at ease and confident your belongings are in good hands. The Honest System is the Way I Choose Running My Moving Company. Our Sales staff has years of experience as movers in the field and we do not lowball or hide any info from our customers, most of the time we will hear from the customer that they received estimates much lower then what we give them and that they don’t think their job will take that long, Sorry but the low estimate you received is a lowball estimate with tons of extra hidden charges and “let me tell you” to move your 3 bedroom house does not take 4-5 hours! We appreciate your interest and are confident you will be satisfied with what we have to offer. Movers201 specializes in Local, Long-Distance and International Moving & Storage Services for both residential and commercial.